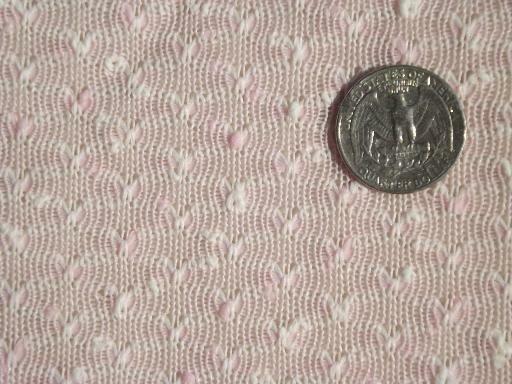 Unlabeled vintage knit fabrics, probably Italian, we think. 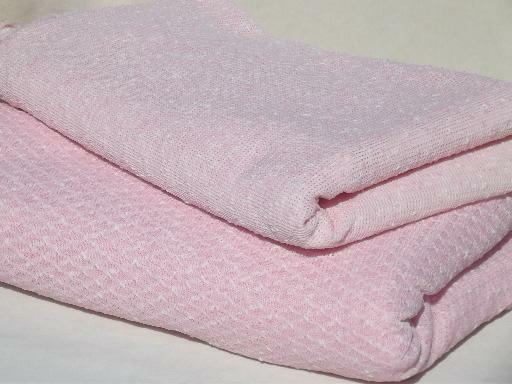 These are coordinating shades of pink, light and crisp, for lined dresses or suits. Both are poly blends, late 1960s? 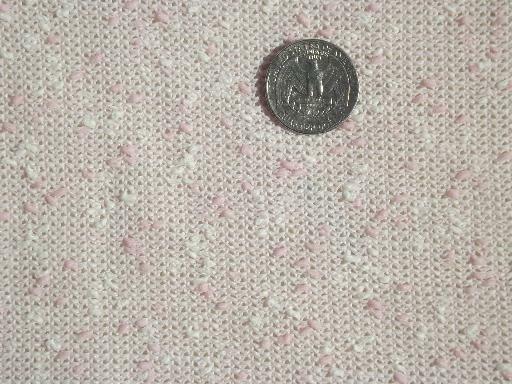 Both fabrics are 60" wide, full width fabric. The lighter weight material is a 4 1/2 yard length, and the heavier weight is 2 yards. These have a few marks and runs across the width in a few places, we believe these were probably mill ends with manufacturing flaws. The color is more intense folded over itself a few times, as you can see in the first photo. These are pale true pink shades, very pretty.